Could Michigan's garment industry be the next big thing for the state? A small group of Michigan designers and economic development officials are headed to Turkey for a week-long trade trip. The group believes Michigan’s garment industry is up-and-coming, and they hope the trade trip will spur on partnerships with Turkey’s textile suppliers and buyers. Eleanor Fuchs believes the garment industry "has the potential to be a multi-million if not billion dollar industry here in Michigan." "Is there something that could be brought back to Flint, back to Lansing, back to Alpena?" says Fuchs, "and be able to create more of an industry there with Turkish investments." Fuchs’ long term goal is to create a garment district in Detroit, and eventually team up with the garment industries in LA and New York in an effort "to bring garment and apparel manufacturing back to the U.S."
"We have big name designers that are based here in Detroit, we have designers that want to come back to Detroit. We have large scale manufacturing - if you look at Peckham Industries in Lansing, they have a phenomenal operation out there, where they produce hundreds of thousands of garments a month." But she says the state could definitely use more: more talent, more small and medium-sized manufacturers, more textile producers. "This jacket we produce approximately about 50,000 garments per month, and these jackets are primarily going to go to the troops in Afghanistan," says Peckham manufacturing director Ed Terris. But the Lansing company recently joined an effort that's far removed from the military. 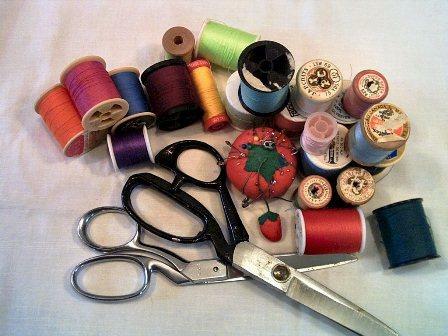 Peckham is one of dozens of enterprises on the newly-created Michigan Garment Industry Council. Prima Civitas thinks the state has the components of a potent garment and fashion sector. Peckham CEO Mitch Tomlinson says even a maker of Army outerwear bound for Afghanistan has a role to play. "We're never going to be a high-fashion industry at Peckham, but we think there's a lot of transferability between the products that we make and the commercial market," he explains. "A lot of people want really high-performing garments and certainly that's what Peckham's known for with the military." Photo courtesy of Zaha Hadid Architects. Today’s Artpod is all art and fashion. There’s even a guest celebrity of sorts. (Hint: "Make it work!") You can listen to the podcast here. 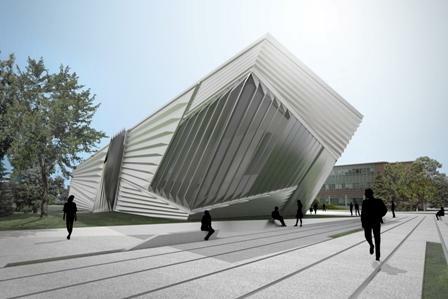 We'll talk with Michael Rush, the founding director of the new Eli and Edythe Broad Art Museum at Michigan State University. Plus, we'll meet the man behind Motor City Denim and hear why an auto supplier is now getting ready to make jeans. According to a press release from the company, the line "will begin arriving in stores in early 2011." With the New Year, Michigan Radio began a new series called, "What's Working." Every week, we'll take a look at an idea that's helping to improve the state's economy and our lives. Today, we hear from Joe Faris, founder of Motor City Denim. When the auto industry downsized, auto suppliers were affected. Many of them lost business, got rid of employees, or even went into bankruptcy. What’s left are the suppliers' factories, and a highly-skilled workforce. Faris is working to mold the infrastructure of former, or smaller, auto suppliers into one that can support a fashion industry. Motor City Denim is now a subsidiary of TD Industrial Coverings. TD Industrial Coverings used to only manufacture protective coverings for the robots used to assemble cars. Now, TD industrial is getting ready to also make jeans.